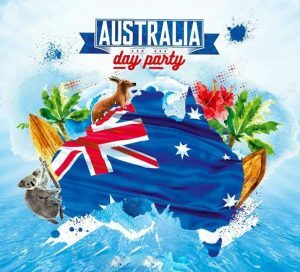 Get Your Flag on and Celebrate in Aussie Style! 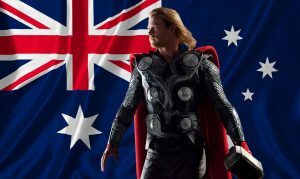 It’s Australia Day on January 26th, and what a great time to spotlight this country and its people. It’s a day when all Australians and lovers of Australia around the world will be celebrating. 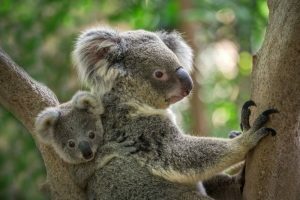 Whether it’s the amazing wildlife such as koalas and kangaroos, or famous sights like the Great Barrier Reef, or the Sydney Opera House, Aussies have a lot to be proud of, and to celebrate! 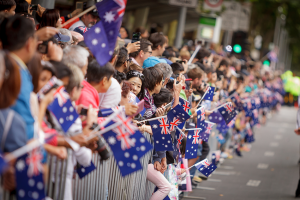 On Australia Day, many will gather with family and friends to enjoy drinks, barbecues, concerts, boat races and citizenship ceremonies. It was on January 26th 1788, when the First Fleet of British ships landed in Port Jackson. Captain Arthur Phillip raised the Union Jack, establishing the first British colony at Sydney Cove. And, did you know that the first colonies of Australia were designated as penal settlements, to exile criminals and convicts? Today, modern-day Australia is home to many awe-inspiring sights, such as Uluru (Ayers Rock), Shark Bay and clothing-optional beaches, like Maslin Beach in Adelaide. Australia is known as the world’s sixth largest country by total area after Russia, Canada, the US, China and Brazil. Australia is a beach paradise, with over 10,000 beaches. If you visited a new beach every day, for 27 years, you still wouldn’t see them all. Australia is ranked as the second-best in the world for quality of life, health, education and economic freedom. Australia is one big island surrounded by more than 8,000 smaller islands. The Red Kangaroo is the national animal of Australia. This species of kangaroo is known to be the largest, and is native to Australia. The meaning behind the Red Kangaroo as the national animal of Australia is that it’s not particularly good at walking backwards. This symbolizes determination to move forward, as a nation. Over 300 different languages and dialects are spoken in Australia, together with 45 Indigenous languages. Australia ranks number 54 in countries of the world by population, and the current population of Australia is over 25 million, as of 2019. We all know that national flags are symbols of national identity and pride. No matter where we come from, we can understand how it feels to see our own nation’s flag being unfurled, raised and flying overhead! And, every flag has its own story to tell. Did you know that the Australian National Flag is the only one in the world which flies over an entire continent? This glorious flag is also the first one to involve a public competition. Five people tied in the competition and co-designed the flag. One of the designers was Ivor Evans, a 14-year-old from Melbourne, whose father owed a flag making business, and another was Annie Dorrington, a famous artist from Perth. 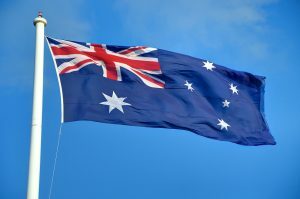 Want to Know More About Where to Get Your Aussie Flags? We’re so glad you asked! No matter how you’ll celebrate, all of our Flag Shop locations across Canada carry Australia flags in all sizes! We also have crests and friendship pins. So, stop “faffing around” as they say, and let us know how we can help you and your mates get ready for a “rip snorter” of an Australia Day! 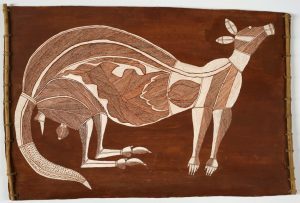 From Devastation to a Brighter Future – While Australia Day is a national holiday set aside to celebrate the beauty, wonder, lifestyle and values of a unique country, sadly to many, January 26th is known as Invasion Day. 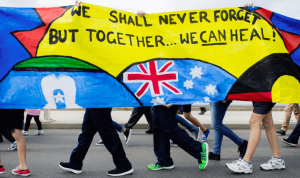 The Flag Shop acknowledges the devastating impact of Invasion Day, as a regrettable time in history, when tens of thousands of Indigenous Australians lost their lives, their land and their rights. For more information about reconciliation, and a collective movement by the people of Australia, working for a better future, please visit https://www.reconciliation.org.au. How Did You Like Our Blog! ?